When it comes to home repairs and maintenance, people often focus on small projects that they can do on their own during the weekend. However, more demanding projects, such as a roof replacement, are often overlooked or postponed. That's a mistake, though. 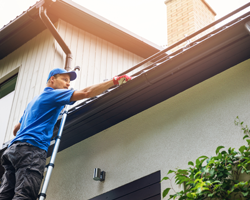 If you haven't tended to your roof in a while, it might be smart to check up on it. 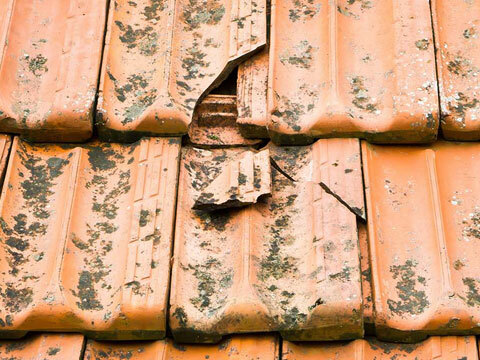 There is a number of warning signs that will help you determine if the time to replace your roof has come. Once you notice one (or more) of these signs, you should act as soon as possible. Delaying the replacement of your roof could cause bigger problems in the long run. But, who should you hire to replace your roof? "Who should I hire for this project?" Roof replacement isn't a simple project; in fact, it's a complex and major one. As such, it should be handled only by professionals. 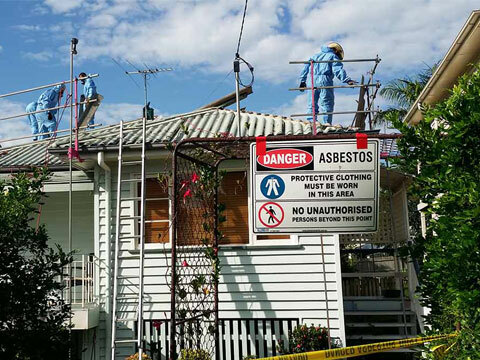 If you want to have a new metal roof installed, picking the best roof contractor in Brisbane shouldn't be hard. Ozroofworks is a well-established roofing company that has been in business for more than 40 years. 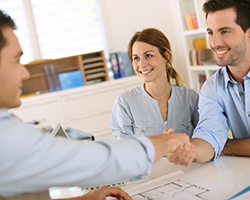 We are a family-owned company, and we are LICENSED AND INSURED PROFESSIONALS with a lot of experience. With our expertise and the high-quality materials we use, you will surely be satisfied with your new roof. As a matter of fact, we offer a 30-YEAR PRODUCT WARRANTY and a 10-YEAR WORKMANSHIP WARRANTY. In order to provide THE BEST SERVICE POSSIBLE, we often partner up with local architects and builders. Some projects are more demanding than others, and we always like to make sure that we are on top of things. So, if your roof isn't the only thing that needs to be replaced or repaired, there's no need to worry. Together with our partners, we can handle MULTIPLE PROJECTS and make your home/property the most beautiful and functional place. Many of our clients are homeowners and property investors who wish to update their property with A NEW METAL ROOF. Hence, we perform metal roof replacements on a regular basis. These roofs are the best option for harsh weather conditions in Australia, so it doesn't come as a surprise that they are the most popular option. You too could update your home or property with a new metal roof that could provide multiple benefits for your home. If you want to learn more about the advantages of these highly efficient roofs, keep reading. Colorbond is one of the MOST POPULAR ROOFING CHOICES in Australia. Actually, most property owners who are looking to update their roof opt for Colorbond. So, what makes this type of roof so popular? Colorbond is A LIGHTWEIGHT ROOFING MATERIAL, which means that it can cover large open areas without needing additional support. That, in turn, means SAVING MONEY on engineering construction, which is another advantage. Colorbond is a NON-COMBUSTIBLE, FIRE-RESISTANT, INSECT-RESISTANT, and WEATHER-RESISTANT material. Those features allow it to last for a very long time, making sure that your home is safe, dry, and durable. If rainwater used to cause problems on your property in the past, that won't be the case anymore. Colorbond roofing is corrugated, and it MAXIMISES WATER DEFLECTION. Also, it won't absorb any water, and it is highly unlikely that it will leak. Harsh Australian climate doesn't stand a chance against the specially designed Colorbond roof that incorporates Thermatech® Technology. The technology helps the roof stay cool, even in extremely hot temperatures. Furthermore, by reflecting light and heat, it will keep your home cool on the inside. 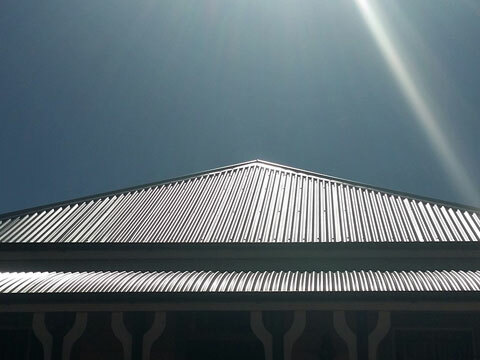 Since it's 100% RECYCLABLE, Colorbond metal roofing is regularly re-used. Moreover, being lightweight, it's easier and cheaper to transport than some other materials. Also, on-site waste has been minimised since the material is delivered in customised pieces. With 22 COLOURS AVAILABLE, Colorbond roofing has merged aesthetics and functionality. Plus, the elegant metal roofing sheeting looks equally good both on traditional and modern homes. So, you can be sure that it will enhance the look of your property. Since the colour is literally bonded to the material, you won't need to re-paint your Colorbond roof as often as you would some other roof types. Furthermore, the baked finish on Colorbond roofing PREVENTS PEELING, CRACKING, AND CHIPPING. The second most popular roof choice in Australia is, without a doubt, Zincalume steel. This HIGH-QUALITY AND EXTREMELY DURABLE material can satisfy even the pickiest homeowners and property investors. Just like Colorbond, Zincalume is very DURABLE, WEATHER-RESISTANT, and VERSATILE. But, what other features make it so well liked? Ever since it was first launched in 1976, Zincalume steel has been further improved. Nowadays, it SETS THE STANDARDS FOR DURABILITY AND CORROSION RESISTANCE. With this roof, you can be sure that you are getting the best material on the market. The combination of aluminium and zinc makes Zincalume steel roofing corrosion-resistant and rust-resistant. What's more, even if the protective zinc coating gets scratched, the exposed steel will remain protected as zinc works as a sacrificial anode. Since it's versatile, lightweight, and durable, Zincalume steel is a SOUND BUILDING CHOICE. Moreover, its long-lasting performance comes at a COMPETITIVE PRICE. That's exactly why it has been one of the favourite choices among architects, builders, engineers, and manufacturers all over the world in the last two decades. 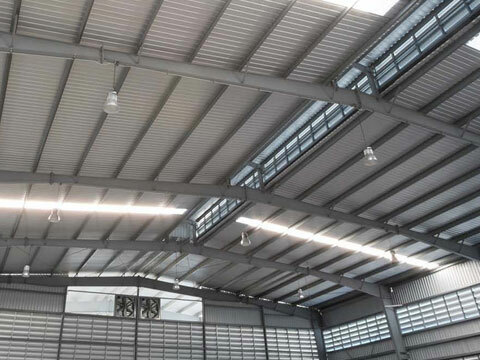 Apart from being very functional, Zincalume steel roofing is also AESTHETICALLY PLEASING. It doesn't matter if your property is traditional or contemporary - the classic design of Zincalume steel complements every structure and makes the most of its features. High temperatures can affect the quality of your life, especially if you can't seem to cool your home and relax. Luckily, one of the key benefits of Zincalume steel is EXCELLENT THERMAL AND LIGHT REFLECTIVITY. This means that you can keep your home cool even during hot summer months. Having your roof replaced is a procedure that consists of a number of stages. In order for everything to turn out THE BEST WAY POSSIBLE, and for everyone on site to be safe, we strictly follow the roof replacement procedure. To learn more about our procedure, keep reading. Before anything else, we need to sit down with you and talk about the project in question. At this stage, you should tell us about your wishes and concerns, as well as about your expectations. We want to be completely sure that we are on the same page before starting the roof replacement. At this point, in order to evaluate the condition your roof is in, we will also inspect your current roof. Once we have agreed on how we will perform the roof replacement, the next step is paying the insurance. It is of vital importance that you pay for the insurance; construction is a risky occupation, and it is better to be safe than sorry. Also, before we start, we will make sure that our workers have taken all the safety precautions of securing the area. The third step is the actual installation of your brand new metal roof. 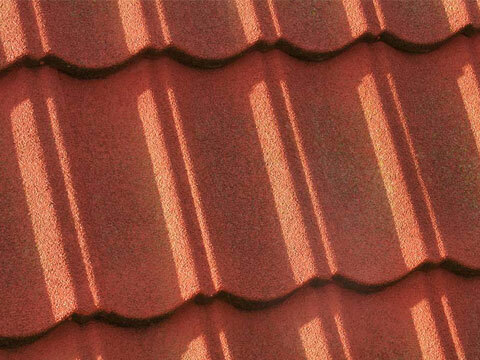 According to your personal preferences, we will install either Colorbond or Zincalume steel roofing. 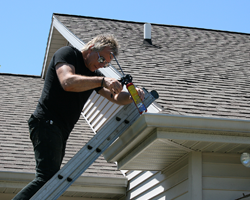 Moreover, we will install new gutters, as well as batt insulation. Note that your new roof, gutters, and batts will be installed in accordance with the CURRENT BUILDING CODE. If you want your new roof to be as efficient as possible, it's best to consider having it insulated, too. A metal roof and batt insulation will ensure that your home is cooler in summer and warmer in winter. What's more, you can expect a lower electricity bill. The last step in the roof installation process includes site clean-up, which will allow you to enjoy your new roof as soon as possible. Also, to be sure that everything is functioning properly, we will perform a quality control check. There are many roofing companies in Brisbane, but not every one of them will meet your expectations. If you are looking for QUALITY, and you won't settle for anything less than PERFECTION, Ozroofworks is the right roof replacement company for you. With more than 40 years of experience, we are YOUR SAFEST CHOICE. 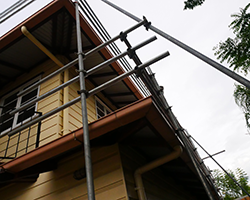 With us, you can always be sure that you are getting THE BEST ROOFING SERVICE IN BRISBANE. Our family-owned business is licensed and insured, and you will definitely be getting the best service there is. Also, our staff consists of PROFESSIONAL AND RELIABLE WORKERS who will do everything in their power to make your dreams a reality. If you want to learn more about the projects we do, feel free to browse through our "Projects" section and read about our most recent undertakings. One more thing - if you visit our website, you can get a FREE ROOFING ESTIMATE! Send us an enquiry, and we will provide a free quote!